Hi! I’m Melissa Cruz-Cuene. I have a lot of nicknames. I respond to Mel, Cruz, Cruzer, Cruzie, and Missy. I’m often mistaken for a Melanie or Michelle, and do respond to those names as well…although much slower. At a young age, I knew I loved sports. All of them! Whether it was bike races or swimming, skateboarding or “500”, obstacle courses or a game of H-O-R-S-E in the driveway, my athletic skills were developed and nourished near home, alongside my neighborhood crew. It’s those childhood friends that drew out my competitive side and showed me how to win, lose and love every minute of sweating thru my oversized t-shirt. Soccer has always been my hands down favorite sport. 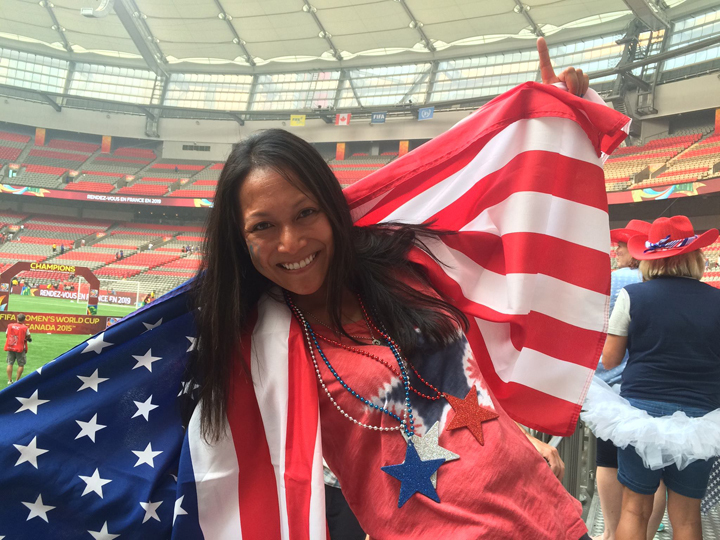 I started playing soccer through a recreational program when I was seven. Years later, in middle school, I was asked to try out for the area’s 1st Club Soccer Program. I participated in Club Soccer for 6 years. 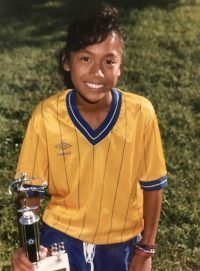 At age 13, I traveled to Europe and played with Team USA for a summer. 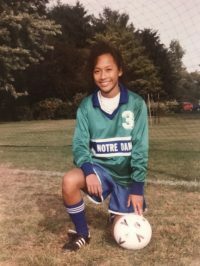 I participated in school athletics and was one of a handful of girls that played on High School Boys Teams–a girls soccer league had yet to be established. During my Junior year, Girls High School Soccer was introduced to the Green Bay Area School System. I had the honor of being Captain for 2 years and was voted MVP both seasons. Fast forwarding a few years, I was back in Green Bay after finishing my undergrad at University of Wisconsin-Madison. I once again found my way onto a soccer field and quickly realized soccer had continued to evolve and grow in Green Bay and the Surrounding Area as indoor facilities opened in my absence and adults of all ages were lacing up their boots. 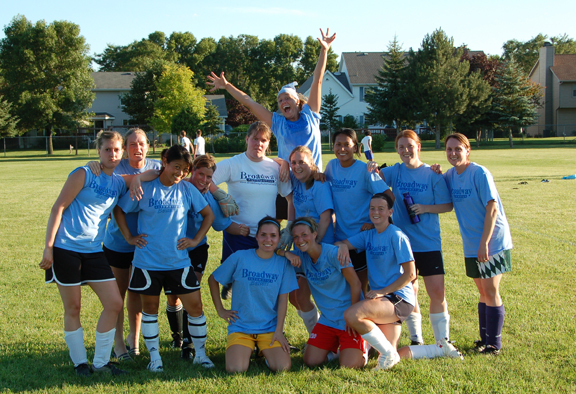 In 2007, I Co-Founded a Competitive Women’s Summer Soccer League in hopes of creating and inspiring women to play year-round. That same year, I began coaching for a recreational program. Fittingly, the same program and at the same fields where I participated in my 1st soccer game 25 years earlier. I’ve had the opportunity to coach at multiple levels including: Grade School, Middle School, Club Academy and Youth Club. 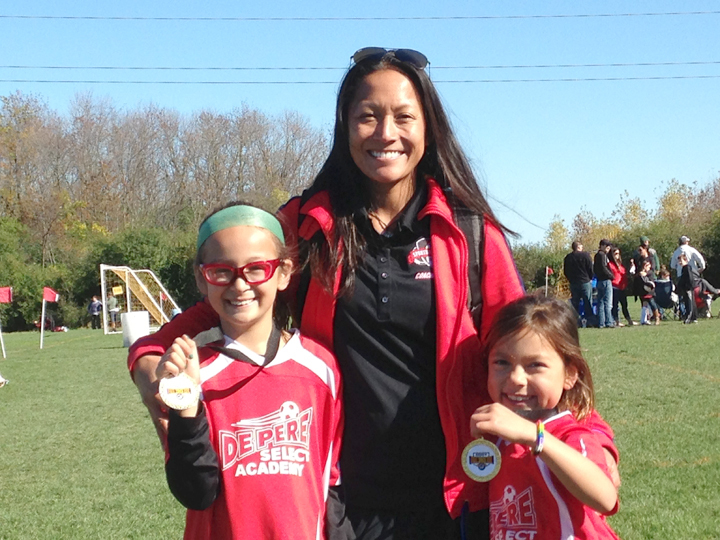 I continue to think of myself as a soccer player, although I admittedly spend more time watching my 2 daughters (Stella & Luci) play, than actually playing myself. But I am grateful that at least one of their passions brings us together both on and off the field. 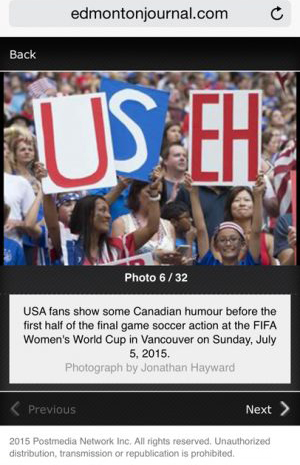 My husband, Michael, became a soccer enthusiast when our children picked up the sport. For a non-soccer player, he DID grasp the offside rule rather quickly so major points for that! My latest endeavor is Co-Founding the Green Bay Glory non-profit organization and establishing Green Bay Glory, a Women’s Premier Soccer Team. The formation of this team elevates soccer to a new level and is the next big step forward for girls’ and women’s soccer in Green Bay and the Surrounding Areas. These are exciting times! I’m thrilled to keep this ball rolling! !